About 45 percent of cancer deaths in China are related with factors like behavior, diet, environment and infection. This means that many cancer deaths can be avoided through lifestyle changes, while others could be cured through early detection and treatment, local medical experts said ahead of National Cancer Prevention and Treatment Week, which starts on Monday. To raise public awareness about cancer, the Shanghai Anti-Cancer Association and the Shanghai Cancer Center released a new cancer-screening and prevention brochure on Thursday. A total of 14 common cancers are included into the new document, double from last year’s edition. Regular and early screening and proper treatment are the key to cancer prevention and control. 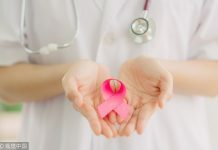 Doctors from the Shanghai Cancer Center said the five-year survival rate of people with early stage of cervical cancer and colorectal cancer is over 90 percent, and over 97 percent for people with early breast cancer. 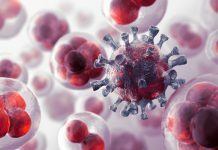 “The first version included lung cancer, colorectal cancer, liver cancer, gastric cancer, breast cancer, cervical cancer and prostate cancer, and residents wanted more authoritative information on other types of common cancer,” said Dr Zheng Ying, director of Shanghai Cancer Center’s cancer prevention department. The center also developed an online tool for residents to assess their cancer risk through its public WeChat (Fudan University Shanghai Cancer Center) account and website (www.shca.org.cn).